I don't know if this could be transitional period, but I'm not convinced. 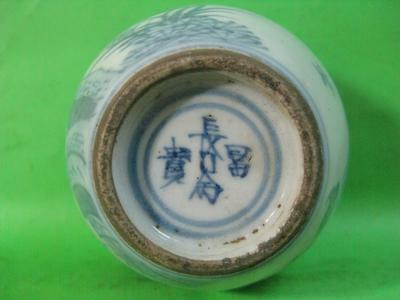 The mark would be Ming, but are the white glaze and blue color on the exterior and bottom of the same tone? In the first picture they look a bit different. 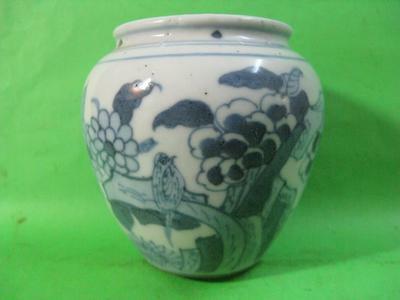 I have an issue with the decoration being Ming, while the shape of the neck is like a Ming jar. The decoration looks like a 20th century decoration. The foot rim is too dark and could be artificially darkened. I have also a doubt about the way the birds are painted, etc. Too many doubts - that would need verification with a hands-on inspection. 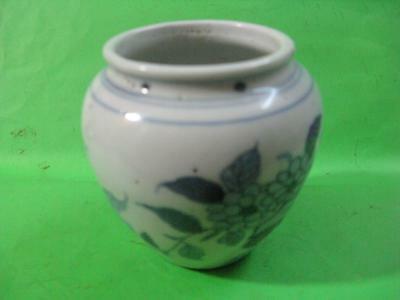 You seem to have a supplier using Ming bottoms and/or marks and a more recent decoration. But the decorations are mostly not convincing. This one also falls into one of the two patterns mentioned in my earlier comment.